LMD RichPack is a collection of 17 native VCL components that can be compiled into your application royalty free. 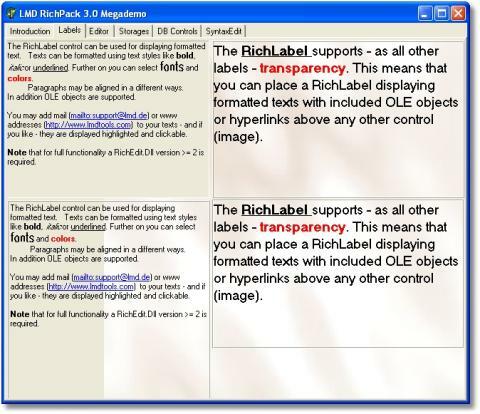 The package contains several controls which are based on MS RichEdit DLL (including support for version 3) and which allows integration of text editors providing predefined dialogs (like Preview dialog with Zoom features) and hypertext functionality. The StandAlone package includes additional bonus controls from the Shared LMD runtime. 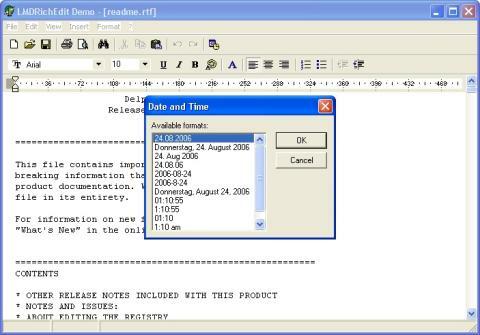 Besides trialversions a precompiled Exe-Demo is available in the public download area.